Funny story: this mani was a total accident. Isn't that so fun when that happens (mostly because the majority of the time, accident manis are a hot mess)? Of course it is! Haha!! To start, I did two coats of Paper Mache. 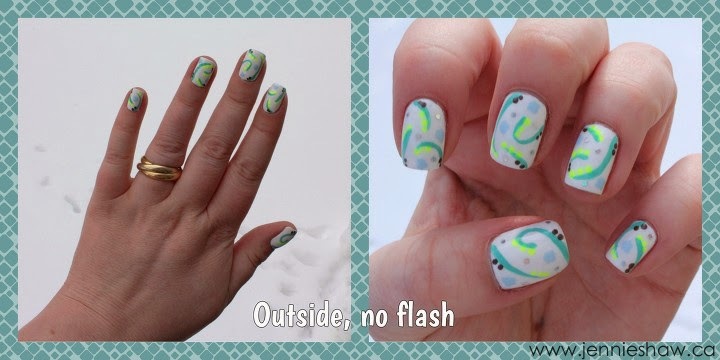 Once that was dry, I used Aquadelic and a medium length brush to make the stems. 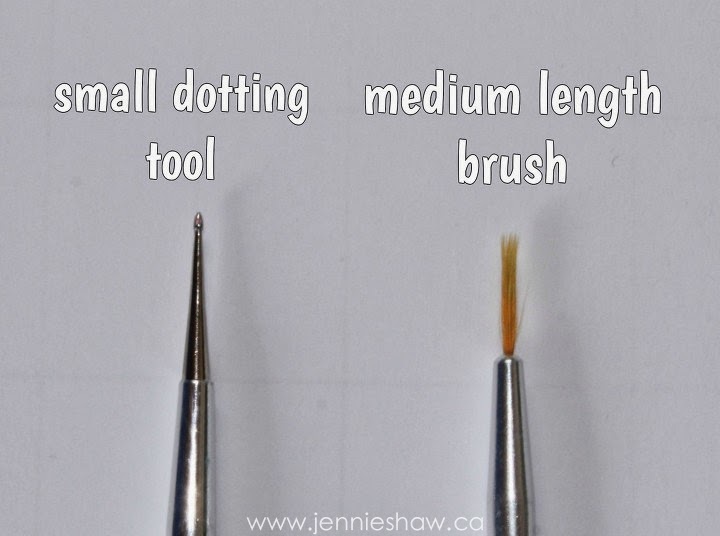 Then, with the small dotting tool, I did three dots with Celtic Sun somewhere along the top of the stem, followed by two dots with You Don't Know Jacques! on the bottom of the stem, on the opposite side as the peas. Because the dotting tool is so small, I was able to make small blue flowers with five dots, and then, because it still needed some oomph, I picked out a few pieces of the holographic glitter from Techno and put them randomly on each nail. I think that the yellow really POPs with this mani, and I love the general colour scheme. Of course, now that I've had time to think about it, I could have made the brown dots into ants but c'est la vie. Haha! Have an awesome weekend, everyone! And don't forget to link up your post with the pretties you rocked this week! How was this an accident?! That's awesome, adorable, NEON, and totally professional. I love it! How did you come up with this?? This is SO INSANELY creative Jennie!! I wish I could see extreme close-ups of all the details on here because it looks like you made 10 tiny masterpieces! Love ittttt. That is amazing!! I love the colors you chose! Ooooooo Jennie I love this! 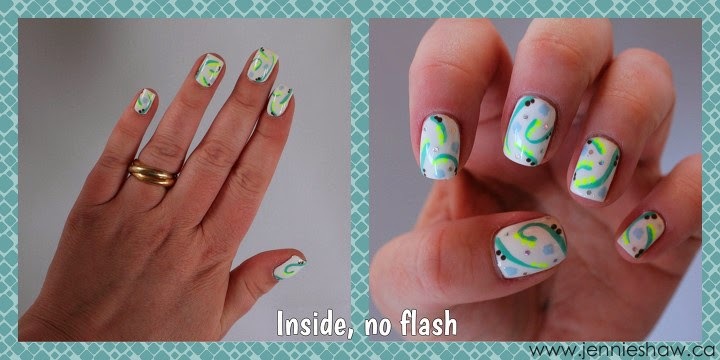 The neons on the white and the swirls and dots! So super fun! NEON! Love! I think it would look super cute on plain white with just the neon color in polka dots! Oh my goodness! I love your nails! Your designs are too cute!